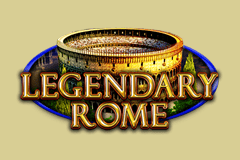 History buffs will be celebrating the release of the Legendary Rome video pokie from EGT, although punters who are less interested in the ancient times will still have something to cheer about when symbols pay out winnings of up to 10000x the line bet and trigger free spins games with bonus features on the reels. Like all online casino games from EGT, there’s also a randomly-awarded progressive jackpot, while an option to gamble wins over and over can potentially turn a modest prize into a huge sum. Along with Egypt, the history of the Romans is one of the most popular themes for casino online pokies to follow, and in the case of Legendary Rome, players are treated to sights like the Colosseum, an Emperor, Roman woman and some of the essential items for life in the city, such as wine, a lyre, and writing equipment. It looks fairly realistic, as does the palace and gardens that we can see behind the reels. A standard 5-reel set-up, with symbols in 3 rows and 20 paylines are featured, while getting a win is a matter of seeing matching symbols stopping across a line, on adjacent reels from the left side, although wild and scatter symbols are there to trigger bonus payouts as well. There’s bet limits from 0.20 to 40.00 per spin, and cautious gamblers may want to test it all out via the free Legendary Rome video pokies available to practice on at most online casinos. Traditional playing card symbols in a bold, colourful style, will create the smaller winning lines, and a review of the pay table shows players what each combination is worth. Landing either the 10, J or Q symbols across 3, 4 or 5 reels of a line will see wins of 5, 20 or 100x the line bet paid out, while the K and A are each worth 5, 40 or 150x. The wine and writing scene are each valued at 15, 75 or 250x, and the lyre and mask at 20, 100 or 400x when landing on 3, 4 or 5 reels of a payline. The top standard symbols are the Roman woman and Emperor, both of which pay out 2x when they appear on reels 1 and 2, going all the way up to 750x for full lines of either one. But these are not the biggest winnings, as the Colosseum symbol pays from 10x the line bet when it’s on reels 1 and 2, up to a massive 10,000x for 5 on a line. It’s also a wild symbol, able to act as any of the above to complete winning combinations, or extend wins across additional reels, with the added bonus that it doubles the base value of any line it becomes a part of. The iconic image of Romulus and Remus, founders of Rome, being suckled by a wolf, may be based on a myth, but there’s some very real rewards to be had when it turns up in at least 3 spots on reels 1, 3 and 5 at once. This pays out 40 coins and then takes players to a free spins game, which has the unique feature of only containing one type of symbol, along with blank spaces. 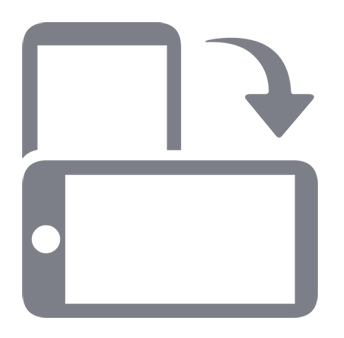 Players have the option of choosing a high-value symbol, which spins over 5 free games, or pick 10 spins, but a lower-value symbol. The only other symbol in play is the Romulus and Remus scatter, which appears on reel 5 and awards an extra spin each time it does so. Wins of less than 700 coins can be gambled, giving players the opportunity to double them, potentially several times over up to a high limit, if they keep correctly guessing that a playing card will be from a red or black suit, but losing the gamble, and the bet that started it, if they get it wrong at any point. The Jackpot Cards progressive prizes are shown above the reels and range from the smaller Club prize, through Hearts and Diamonds, to the top Spade jackpot. If the round is triggered, players will need to pick from 12 playing cards until they find 3 of the same suit, which wins the relevant jackpot, and once this game begins, a progressive prize is guaranteed. The combination of a popular subject matter, pleasing design and interesting bonus features should be enough to get players roamin’ over to the reels of this pokie. The free spins game is a special round that can bring in lots of winnings, but the top 10,000 line bet multiplier from the wild symbol is another highlight, and who wouldn’t want to be in with a chance of landing one of those progressive jackpots?